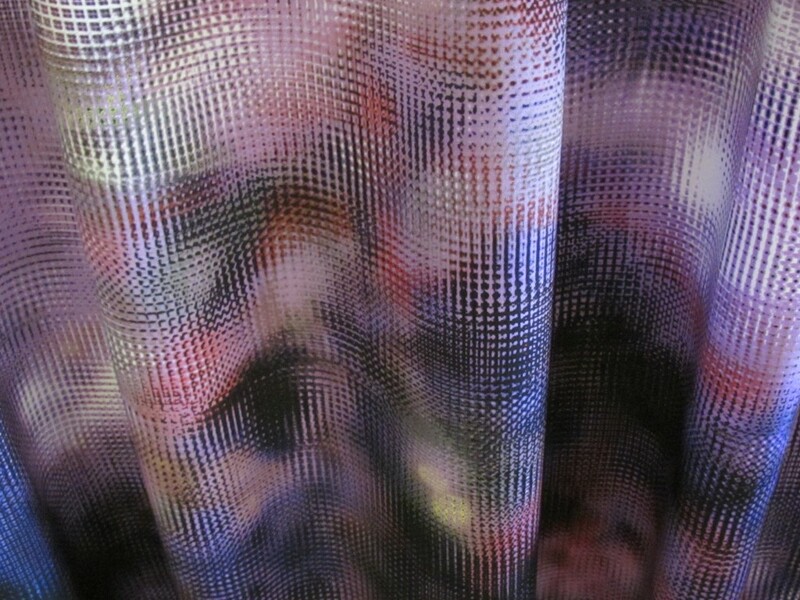 I really haven’t been able to capture the colours and beauty of this fabric at all well; it is much lovelier than appears here I think. 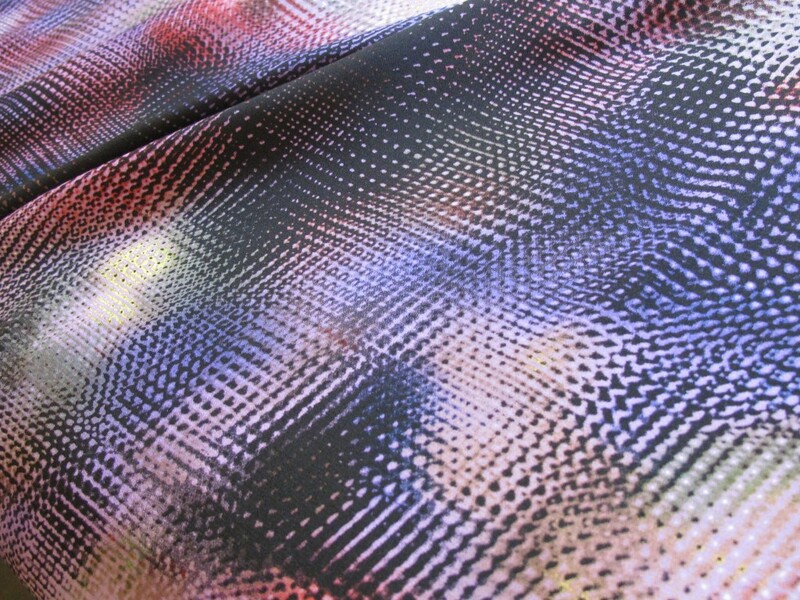 “Pixelated” really is the right word to describe this print…tiny cubes washed over with a palette of purples from the lightest to darkest end of the spectrum. Occasional splashes of white act like light reflections, making the surface sing and take on movement. 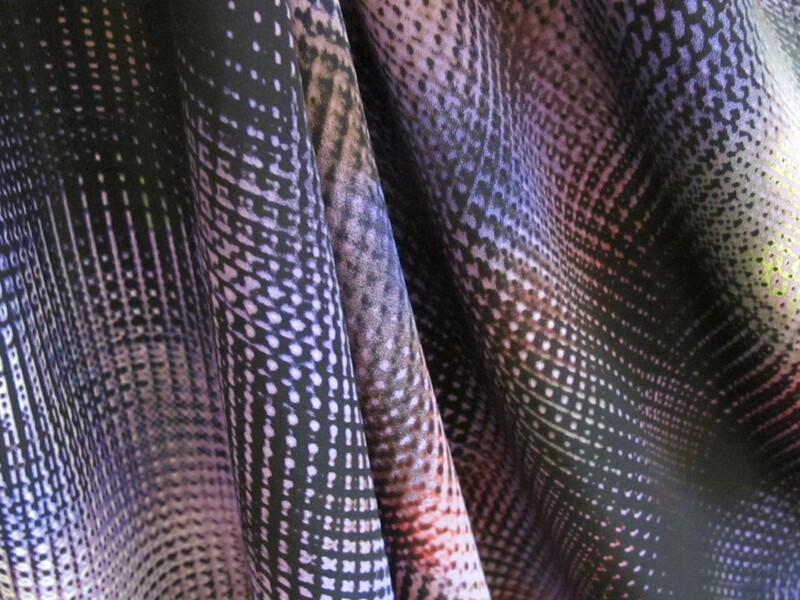 This silk crepe de chine is lightweight but dense, so it has lots of drape and body, very fluid with a lovely soft surface. The fabric is quite opaque. It measures 115cm and the length is 4.5 metres. As I said, I got this for a dress length with the intention of having plenty of fabric to play around with. I am happy to sell this in two lengths each of 2.25 metres, so long as the entire length is accounted for. Ok, so I mention Marni all the time. 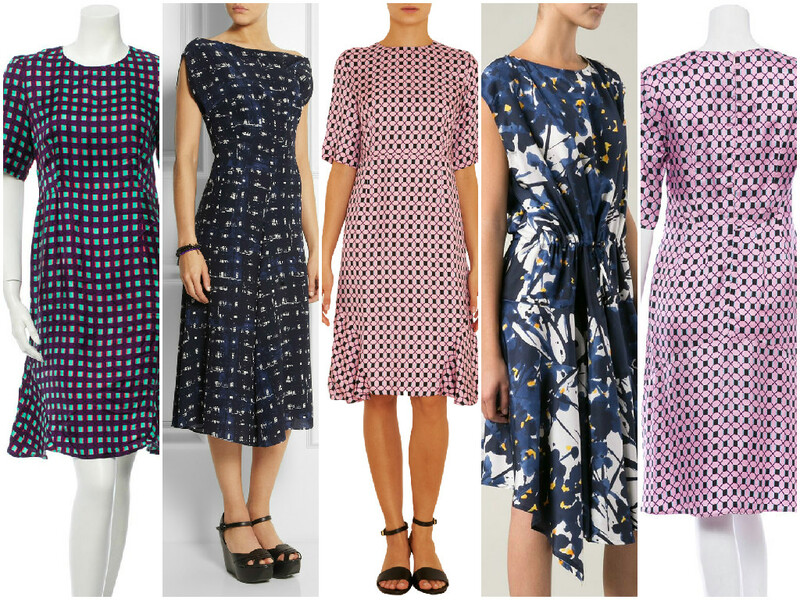 But I had in mind the Marni dress on the left for this fabric. 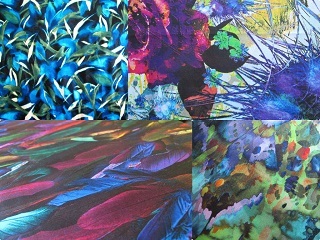 It cost me more but I will price this fabric at $22 a metre/$99 for the full length of 4.5 metres. I think I can just make the weight limits of the small satchel, so post would be $8.25.